A locking mailbox is a mailbox that only you (or whoever has the key) can open and take the contents. Once the postman or delivery man put the items in, nobody can take it out without unlocking the back. The mailbox prevents small hands from going in through the front. The question is, should you upgrade your mailbox to one that locks? Let’s take a look at a few reasons according to MailboxesResidential.com. The primary reason you want a locking mailbox is security. There are two threats you want to mitigate. The first is identity theft. 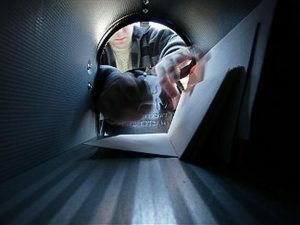 According to the US secret service, mail theft and rerouting were the top two methods of identity theft that did not involve email and web-based systems. The other common occurrence is the theft of mail that does not involve identity theft. People steal everything from letters, small parcels, and gift cards from mailboxes. Often, the local depot will file a missing item as lost in transit, when the parcel was delivered but stolen. With a locking mailbox, you will know if someone goes to the trouble of breaking your mailbox and stealing the contents. There are locking mailboxes that can hold a lot more mail and parcel volume than a standard mailbox. If you need more volume or expect to be away from home for long periods of time, then you will need a larger mailbox. You don’t want a larger mailbox that does not lock; it’s too risky to allow mail to collect without any security.